1. 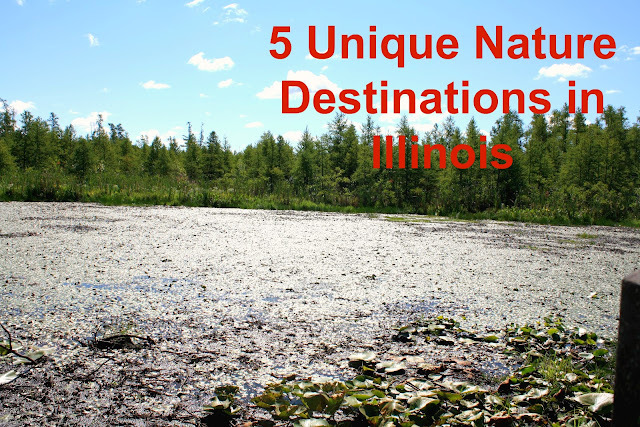 Volo Bog: The Volo Bog is the only quaking bog in Illinois. The preserve contains all stages of bog succession and ecosystems including wetlands, woodlands, savanna and more. A boardwalk allows visitors to walk through the bog. The Volo Bog was listed as a National Landmark in 1973. We find the bog to be a distinctive collection of ecosystems, so a worthy preserve for a outdoor adventure. 2. Chain O'Lakes: Whenever I drive through the Chain O'Lakes area, I forget that I am in Northern Illinois. Chain O'Lakes is a lake system comprised of 15 lakes connected by the beautiful Fox River as well as man-made channels. The area is a popular recreation area with boating, camping, hiking, horse riding, bird watching and more. In recent years, bald eagles have been seen in the area. Fourth of July fireworks viewed by boats or along a lakefront park provide an amazing experience. 3. 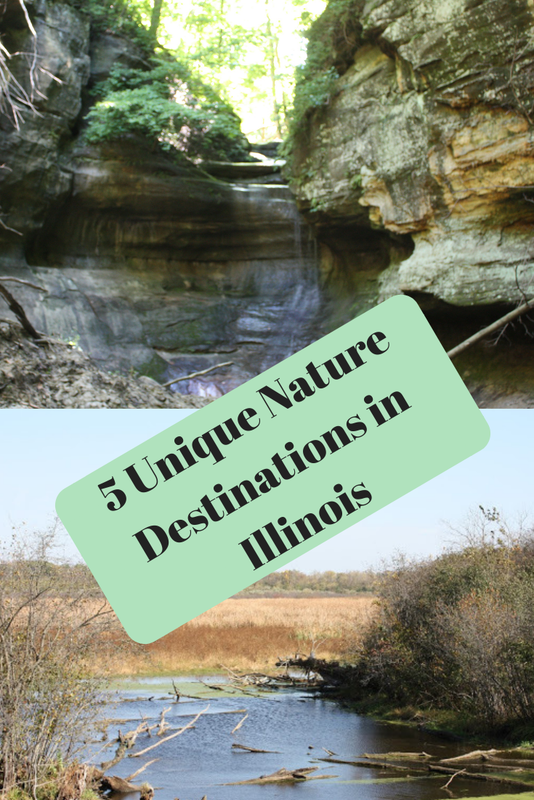 Starved Rock State Park: Starved Rock has long been one of my favorite natural havens in Illinois.The parks landscape of canyons, cliffs, gorges and waterfalls are in stark contrast to the miles of flat farmland around. Torrents of glacial meltwater carved the formations that we love. A variety of hiking trails provide visitors with many views throughout the park. 4. Shawnee National Forest: Lush forest, rock formations, caves, springs, waterfalls and more natural features make Shawnee National Forest one of the jewels of Illinois. The Shawnee National Forest is truly one of those natural escapes that we all crave! 5. Mississippi River: One of my favorite spots in Illinois happens to be along the Mississippi River following the Great River Road from Alton to Pere Marquette State Park. The views of the river along this stretch are gorgeous! In the winter, bald eagles can be seen nesting in this area. Bluffs along the road add more natural splendor to a drive along the river. Where is your favorite place to enjoy nature in Illinois? We were just talking about Starved Rock a half hour ago and then I see this post. I think it's a sign that I'd better grab my pack and hikers!